Limited Quantity - 15 Only!! 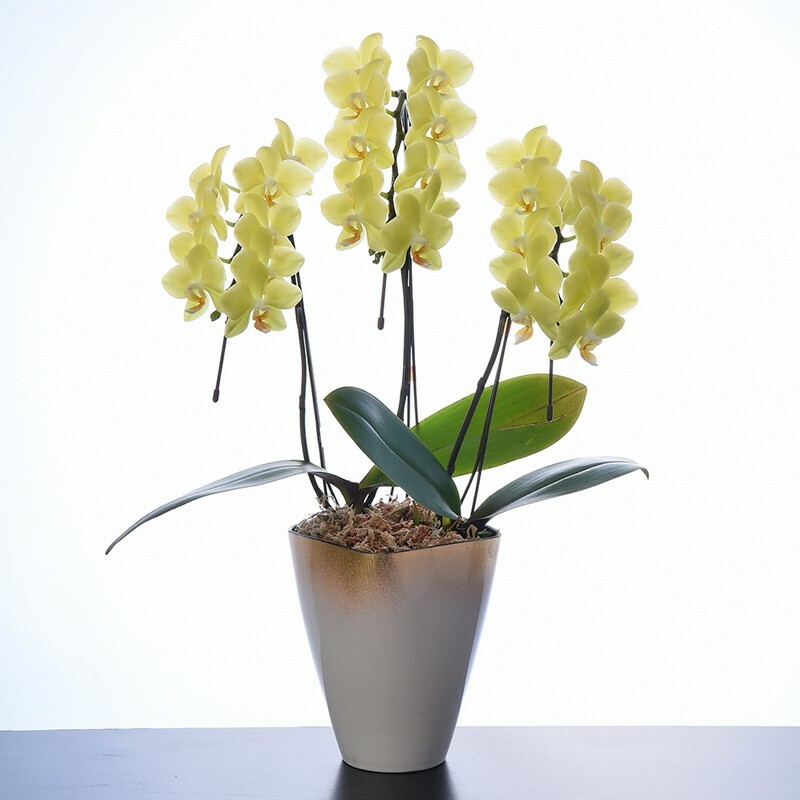 Yellow phalaenopsis orchid is popular due to its rarity. It blooms charming petite flowers of refreshing yellow, and brightens the room. We select only fresh flowers and ship them right from the manufacturer so you can enjoy the flowers for a longer time. Comes with "How to Take Care" instructions. The phalaenopsis orchids have a meaning in Japan that "happiness will come", and is highly appreciated as a gift. *This product cannot be delivered to remote islands such as Okinawa. *Due to the nature of the product, the flower may not be fully bloomed at time of delivery. Please enjoy watching it as it blooms. *Photo is an image. Actual wrapping and pottery used may differ.